What a classy countertop stand at an affordable price made from a mould-injection plastic! Clear as crystal that it provides full view of your ads and harmonizes with any environment thanks to its oval base and circular arms. Lightweight, it’s easy-to-move and clean. This poster holder stands at a 90° angle to a table or bar. Retailers, banks, and convenience stores use these countertop poster stands to market their business in addition to restaurants and bars. 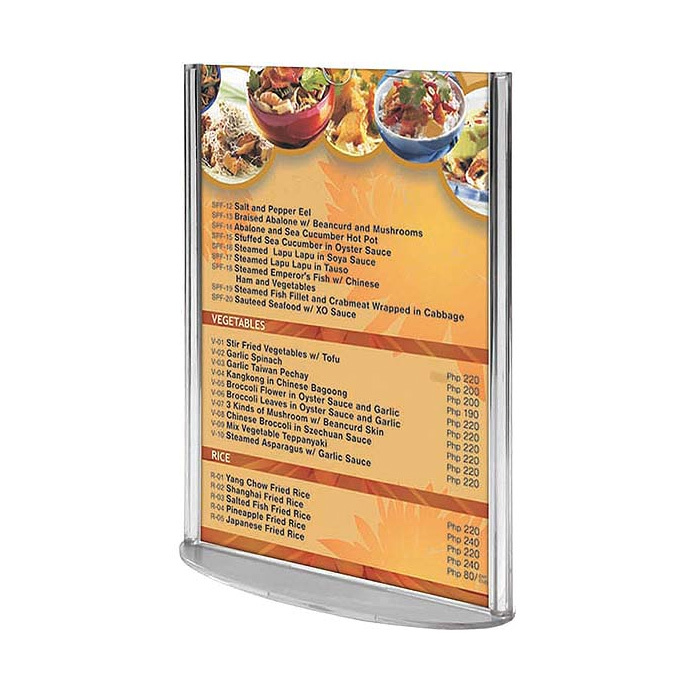 These tabletop sign frames, also known as menu holders, hold larger graphics up to 8-1/2"w x 11"h only vertically and can display two inserts back-to-back. That makes these menu stands more effective to garnish interest for your advertisements in busy environments than 4"w x 6"h x or 5"w x 7"h sign frames. Easy-to-load and easy-to-remove thanks to its thumb notch on one side that it only takes seconds to insert and replace your posters in this exhibiting restaurant signage. Just slide the poster into or out the opening on top. That’s it! Please keep in mind the maximum thickness that will fit through the channel in case of displaying two separate prints. Why do so many restaurants buy oval base sign frames from www.aallendisplay.com? The reason is there are literately 1000s of unique outdoor & indoor displays available on this website. After crafting your point-of-purchase advertising campaign just visit our website. You’ll be amazed by our solutions to implement campaign. 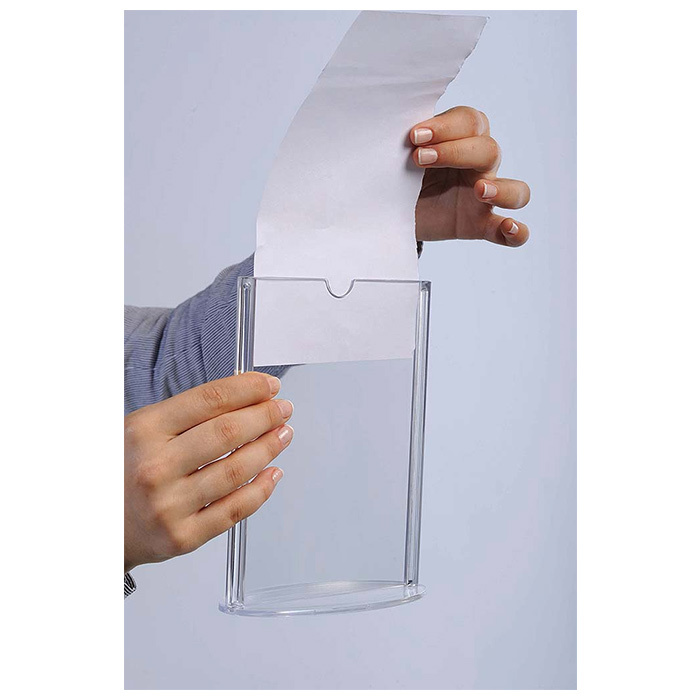 A tabletop signage holder may be ideal for advertising by a checkout register. Plastic holders and/or a sidewalk sign may be used as complementary tools to get traffic through your stores. Restaurants can even buy a table number holder, countertop menu holder, or an acrylic frame. The long and the short of it is that Allen Display is all-in-one website satisfying different customers’ needs by providing quality outdoor and indoor displays at affordable prices at the same with high-end products and never sacrifices from the balance of price, style and durability. Not surprisingly, this website is one of the leading suppliers of real estate sidewalk signs and restaurant equipment such as table card holders with the same excitement and same professionalism since it's opening.